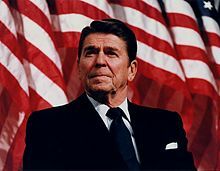 In an article entitled “What Would Ronnie Do?” in a recent issue of Newsweek, author Rick Perlstein suggests that President Obama should look to the experiences of Ronald Reagan for ways to deal with his current situation. Of course, Mr. Perlstein’s assumption is that the present is like the past. This is an assumption which should be questioned. This is not 1980, Obama is not Reagan, and the country (and the world) is very different. We should learn from the past, but we will not learn from the approach that Perlstein is taking. Of course, he is not alone. Most of us are looking to the past for guidance for today, so we have the military always fighting the last war and airport security screeners alert to the last terrorist strategy. Churches do it when they think back to the 1950’s and think what worked then will work now. We can no longer assume that future events will necessarily develop as those in the past. As my friend Alan Roxburgh says, we live in a time of discontinuous change. We can no longer count on linear, cause and effect relationships (if we ever could). What can we learn from the past? I think that Perlstein starts out on the right track in suggesting that President Obama look to Reagan for inspiration, but then he veers off into strategies and tactics. Considering Reagan, one of the greatest communicators of the 20th century, may provide President Obama guidance in some ways but not necessarily the ones that Perlstein suggests. The things that we can learn from the past are of a different nature. As we observe what has gone before, we see not necessarily patterns of action but use of capabilities. We find leaders whose personalities, communication styles, or values prepared them to take risks, be creative, build new coalitions, and take responsibility for consequences. These are the skills or traits that allow a leader to make the most of a situation. Franklin Roosevelt is an example of a President whose abilities meshed well with the unexpected crises of his time. The key here is personal self-awareness. By knowing our strengths, abilities, and needs each of us can be more fully prepared for the unexpected. We do not know what is around the next corner, but we can prepare ourselves to do our best no whatever what we find there. Christians add another ingredient to the mix, and that is sensitivity to the leading of the Spirit. Such sensitivity is manifested in contemplation, community, and action but rooted in a personal relationship with God. Will the future be like the past? Perhaps, but don’t count on it. The twelfth semester of classes offered by Central Baptist Theological Seminary in Murfreesboro, Tennessee, began this month. Since September 2005, we have provided 32 classes in Murfreesboro and students have had access to a number of online classes. Four students have received the Master of Divinity degree and two more will complete their degrees this semester. This effort has had its challenges, but the strategy of offering theological education for women and men who are already involved in ministry in their local contexts is making a difference for a number of ministers, their families, and their churches. This would not have been possible without the involvement of a number of persons and organizations. First, Molly Marshall and the leadership of Central Seminary. During a time of financial challenge, President Marshall has been willing to undertake this innovative and risky effort to provide the support needed by churches and ministers. We have learned much in this process and have had the freedom to make the necessary changes to continue this worthy effort. Second, Michael Smith and the leadership of First Baptist Church in Murfreesboro. Mike and Phil Potratz, the minister of Christian formation, as well as other staff and lay leadership have gone out of their way to provide the facilities and services that are so necessary to hosting seminary classes. This has also benefited the church as a number of members have become lifelong learners by taking seminary classes and three church members have pursued degrees. Third, the Cooperative Baptist Fellowship and the Tennessee Cooperative Baptist Fellowship. Initially, TCBF provided the services of their coordinator (me) to serve as volunteer site director as well as financial support. Terry Maples, current TCBF field coordinator, and Judy Fryer, administrative coordinator, continue that tradition of support. Terry Hamrick, CBF’s coordinator of missional leadership, has provided advice, encouragement, and found financial assistance for the work. Fourth, gifted teachers both from the faculty at Shawnee and local adjunct instructors. Eight of the faculty and staff at Central have taught classes in Murfreesboro, requiring both travel and weekend investment of their time and energy. We have been fortunate to identify 12 excellent adjunct faculty members from middle Tennessee to teach everything from Christian Heritage to Homiletics. Many are ministry practitioners who bring knowledge and experience as well as enthusiasm to the task. Finally, and most important, the students. Their commitment and enthusiasm make the effort worthwhile. All are involved in church ministry in some way, either as volunteers or staff ministers (full or part-time). Many have “real” jobs during the week ranging from medical professional to law enforcement officer. Most have family commitments. Despite all of this, they come to class on weekends ready to engage in the process of theological formation. They are an extraordinary group of individuals. This is one of the ways that theological education must be offered in the future if graduate theological institutions want to serve the churches and those called to ministry. In an online posting on “The 8 Stupidest Management Fads of All Time,” Geoffrey James critiques some of the most common management techniques used over the last few decades—Six Sigma, matrix management, reengineering, the search for excellence, and so forth. One that he attacks is management by objectives. Anyone who was involved in a large organization—profit, not-for-profit, religious—in the last half of the 20th century has been exposed to and been expected to practice management by objectives. As James notes, the theory behind the approach is that you “define objectives within an organization so that management and employees agree to the objectives and understand what they are [to do] in the organization. Then [you] compare the employee’s actual performance with the standards set and agreed upon.” This is often the basis for the employee’s evaluation and compensation. Now James is not against setting goals, but he sees all of this as either a waste of time or as a game to be played where you set expectations as low as possible or set goals so vague that you can interpret anything you do as success! 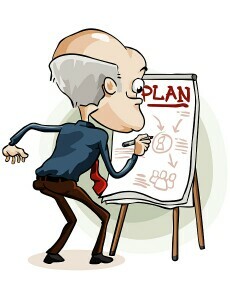 SMART goals are formulated to help an individual have direction or purpose in their personal development. How does this differ from MBO (management by objectives)? Let me suggest several ways. First, SMART goals are made by the individual for his or her personal development rather than for an organization. They may be work related, but just as often they deal with issues such as health, spirituality, and family relations. The “pay off” is a healthier, more productive, and more satisfying life. Second, in a coaching relationship, the goals can be renegotiated as circumstances change. Life happens! Coaches realize this and, without abdicating their responsibility to help a person move toward his or her goals, they monitor both progress and life situation and help the client to keep the goals realistic and attainable. The final decision about changes, of course, is up to the individual being coached. Third, the individual is the final judge of whether he or she has met the goal. Although the coach helps the person develop accountability structures, the final decision about whether the goal has been achieved is up to the client. In short, in a coaching relationship, goals are not meant to be restrictive but empowering. When developed and used properly, they are an effective means for individual growth and development. Do You Really Want to Involve Young Adults? When I hear this question, my first response has to do with motivation: “Why?” Are you just interested in financial support, the continuation of the organization, or more hands to do the work? If the answer is “Yes” to any of these, then you are on the wrong track. If you want to involve young adults in your organization, you must be willing to take some risks and adopt some new strategies. In a recent article on marketing to Millennials (or “Generation Y”, “Net Generation,” or “Echo Boomers”), Gary Vaynerchuk suggests four tips for connecting with adults in their 20’s. Here they are with some interpretation from my perspective. First, listen and don’t talk. Listening precedes dialogue. If you really want to connect with these folks, you have to come to some understanding of their perspectives and life situations. Only then will there be a real basis for discussion. Second, understand that they inherently want to explore as many things as possible. Vaynerchuk comments, “Way too many people think that this generation is simple. Their DNA has shown me that they are far more exploratory than any other generation.” Perhaps their unsettled nature reflects this desire to investigate all the alternatives available. Third, you’ve got to tell your story quickly and that story has got to be relevant. Your message needs to be as personal and pertinent as possible. Twenty-somethings do have a short attention span, but they are also highly relational. You have to make the connection between your story and their lives quickly or you will lose them. Fourth, people want to put the Millennials in a square hole. In other words, we want them to conform to our structures rather than being willing to adapt to their approach to life and service. If we really want to involve young adults, we have to step over onto their turf. This is scary for those of us who lead institutions. We are afraid that what we have built will crumble. Of course, if we don’t breathe new life into the institution, it will crumble anyway! To really young adults to make a contribution, we will have to go more than half-way and be sincere about our willingness to accept their involvement and support in the way that they can offer it. This means that we must be accepting, flexible, and resilient. This is not an easy assignment, and most of us don’t want to expend the time and energy necessary to do accomplish this task, but it may be difference between stagnation and growth. 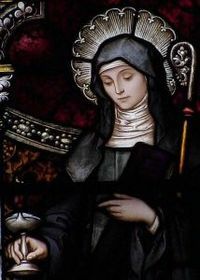 One of the legendary practitioners of Celtic Christianity I have encountered in my class with the Oates Institute is St. Brigid of Kildare. An early leader of the church in Ireland, much of her history is based on hagiography (writing that testifies to the saintly lives and actions of its subjects) and her accomplishments have been embellished by bringing into some of the attributes of the pagan goddess with that name. Beneath all of that, however, is the story of a strong and intelligent woman who ranks beside St. Patrick as a symbol of Irish culture and faithfulness (and, unlike Patrick, she was born there). She was an abbess in the fifth century C.E. who performed some of the functions of a bishop, the founder of several abbeys in Ireland, a patron of the arts, and a person of common sense and wisdom. As the influence of the Roman church became preeminent in Ireland over the following centuries, the role of women in such leadership roles was no longer tolerated. Women took on subservient or, at least, background roles. At the same time, the Irish clung to the stories and traditions of Brigid, and she is highly regarded even today. Reading about Brigid caused me to think about the role of women in the church. What would have happened to the Christian faith if women had not been excluded from positions that shaped the faith—clergy, theologian, teachers? Where women have been allowed to serve, they have made significant contributions. They have been at the vanguard of care for the sick, the poor, and the orphaned. Women have been willing to undertake the caring tasks that men often rejected. They have taught the youth, prepared the meals, and cleaned up after the infirm. Often, women took on other roles in remote areas where men were not available as leaders (think about Baptist “saint” Lottie Moon). From time to time, the contributions of women to spirituality and worship practices were recognized, but these were the exceptions to their accepted roles. If women had been ecclesiastical leaders, would monarchs have been less inclined to use force to convert people to the faith? If women had been trained and encouraged as theologians, would we have a richer heritage in areas such as creation theology, the theology of children, and the theology of the Spirit? Would more resources have been put into the service of the poor and needy rather than ecclesiastical monuments? There are no answers to these hypothetical questions. We do know where we are today, however. In our contemporary context, are we providing adequate opportunities for women to lead, to think, and to teach? Women make up much more that half of our congregational membership. The women in our churches are trained as educators, caring professionals, artists, and administrators. Our seminaries are forming gifted, intelligent women for ministry. Called and skilled women are ready to assume more responsibility in the life of the church. If we do not encourage and provide places for women in leadership roles, we will be a poorer church with a limited mission. This would be a tragic continuation of our historical error. While taking an online course on Celtic Spirituality with the Oates Institute, I have been doing some reading and research on the saints, traditions, and arts connected to the Celtic expression of the Christian faith. I was surprised to happen upon a series of mystery novels that give unique insight into the “Golden Age” of Celtic Christianity. Set in the seventh century C.E., the Sister Fidelma series by Peter Tremayne (the pseudonym of Peter Berresford Ellis, a scholar and expert on the ancient Celts) introduce the reader to the rich culture of the Irish church during its time of conflict with the Roman church. The protagonist is not only a sister of the community of St. Brigid of Kildare, but she is also a dalaigh or advocate of the ancient law courts of Ireland. Not only does she find her religious tradition in conflict with the Roman church, but she discovers that the rest of the world is not ready for a strong, intelligent woman who likes to “solve puzzles” or mysteries. Fidelma has grown up in a world where women, even female slaves, have certain rights and the High King is first among equals who governs at the will of other clan leaders. The learning of the Irish is highlighted when an eclipse takes place. The Irish all seem to understand what is happening while Romans, Saxons, and others quack in fear. In the initial book of the series, Absolution by Murder , Fidelma finds herself at the Council of Whitbea (Whitby) where Roman and Celtic church leaders provide arguments over which tradition shall be predominant among the Saxons of Britain. She is tasked to work with Brother Eadulf, a Saxon monk, to find a murderer. Eadulf is not only a foil for her but he also interprets for her the unfamiliar and often savage customs of the Saxons. Although the mystery itself is not that complex, Tremayne’s vivid descriptions of the settings and customs of the period are fascinating. He uses a number of accepted set pieces of the mystery genre in telling his story. For example, the final disclosure of the murder’s identity takes place in a drawing room setting that Agatha Christie could have written. If the other books in the series are like the first, they will provide the reader a painless and enjoyable introduction to the Christian world of the seventh century. How do you measure success? For many, it is a nice house, functional car(s), and a well-stocked refrigerator and pantry. Just to have these things makes us richer than the majority of people in the world. Of course, we don’t stop there. We would like our share of electronics, opportunities to eat out on a regular basis, a few “toys” (name your favorite), and a variety of entertainment options. If we are a bit more introspective, we will share our desire for personal health, good family or friend relationships, a challenging vocation, and a growing relationship with God. If I asked you to prepare a list of things that make one successful, you would pretty quickly come up some of the things I have already noted. In doing this exercise, we describe our preferred reality, the type of life we work to create despite economic downturns, sickness, catastrophes, and relocations. There is nothing inherently wrong with this, but this perception of reality can become a box that limits us from becoming what we might as followers of Christ. In Growing an Engaged Church , one of the questions that Albert Winseman suggests that spiritual leaders should ask congregants is, “If money and time were no object, what would you do for God?” I have used this question in a number of different settings with various audiences over the years. If the audience is made up of well-established median adults, I often pick up puzzled reactions and cynical remarks like, “Well, it’s a little late for that!” But I have also seen skeptical looks on the faces of young adults when I have asked this question of them. They have already picked their “box” (or had it picked for them by parents or respected leaders) and are busy reinforcing it. One group that is often energized by the question are older adults who are about to retire or have already retired, but perhaps it is because they have built up some resources and have the flexibility to try something new! No matter what the age of the person being questioned, each believer needs to ask himself or herself this question from time to time as a reality check—where am I, how did I get here, and is this where I really want to be? This provides us the chance to reflect on whether the life we are living is the one that best honors God and uses our gifts for God’s service. One of most memorable statements by Martin Luther King, Jr., was “I have a dream.” King’s dream was a reality check for people in the 1960’s who still struggled with the place of African-Americans in society. The dream was not based on financial or temporal resources but a preferred future for all Americans—no matter their race or status in society. We continue to be challenged by that dream. Have you lost your dream of following God’s calling? I encourage you to recover it. Discovering Your Calling: What Do You Love to Do? The question is so simple that it seems ridiculous that we do not ask it more often in the church: “What do you love to do?” We recognize that God blesses each person with spiritual gifts, and we appreciate the talents that people have discovered and nurtured over the years. The major motivating factor in a person’s life, however, is what they are passionate about. If one has a passion for an activity, he or she will alter their schedule, make sacrifices, and commit to do what needs to be done to be involved. A friend invited me to a pro football game recently. We sat outside in chilling temperatures with snow flurries coming down to watch a team with a mediocre record. Why? Because we care about the sport. What is the source of passion? The sources are as diverse as people are unique. Perhaps it is the result of an almost forgotten childhood experience shared with a parent or friend. Maybe it comes from studying under a teacher or working with a mentor who embodied excitement about a subject or a task. For believers, it is always a possibility that the Spirit of God has spoken though worship, scripture, testimony, or hands-on experience. We may never know the source of passion, but we can tell when a person is passionate about something: the person’s eyes widen, their voice is a little louder and animated, and their step is a bit more energetic. There is an enthusiasm there that we do not normally see in that person. In fact, the Greek origin of the word enthusiasm is “being possessed by a god.” Something special has been added to the situation. In the church, we can discover those things that give members passion by both asking and listening. First, simply asking, “What do you love to do?” and then listening carefully, without judgment, and without preconceived ideas. If we can discover what a person is passionate about, what they love to do, we will have made a major step in helping that person discover his or her calling. Discovering Your Calling: What are Your Talents and Strengths? Have you ever seriously considered the assumptions that Christians embrace in their church involvement? These are things that we have picked up along the way. It is unlikely that they have been adopted as church policy or even specifically taught, but they have become ingrained in our psyches. Over the years, I have observed a couple of interesting assumptions that Christians seem to have embraced. First, if I enjoy doing something, then it is not “God’s will for me.” This may come from all the testimonies that we have heard about ministers “struggling” with their calling. Or it may be a result of the idea that God doesn’t really want us to enjoy ourselves and demands self-denial. We might summarize this as “If I feel good about it, obviously it is the wrong thing for me to do.” This says a lot about our concept of God, doesn’t it? Second, there is the idea that there are some things in the church that anyone can do. For example, “Anyone can be a greeter. How hard is it to say hello to people and give them an order of worship?” Well, for some people, meeting absolute strangers is an agonizing task (and don’t think that the strangers don’t realize it when they encounter such a person). Putting a person in the wrong place of service does not help the person or the position of service! It certainly does not contribute to spiritual growth. In Growing and Engaged Church , Albert Winseman cites research that “individuals have the most room for growth in their areas of greatest talent.” He argues that when we take an individual’s talents and strengths seriously, we can unleash great human potential. This should not be so surprising for Christian leaders. Throughout the New Testament, we read of people who were specially gifted for the work they did. They were not called to “positions” but to “ministry” that grew out of their God-given gifts. We also read about people who had developed certain talents over the years—artistic, musical, organizational, etc.—and used them for God’s work. Paul’s training in Greek philosophy and his skills as a tentmaker would be one example. People in our churches today have such skills or natural inclinations. These are valuable resources for ministry, and individuals are often pleased when asked to share them in Christian work. This “strengths-based” approach affirms that God has created each of us as unique individuals with great capacity for growth and service. We should recognize that there are areas where we may not be gifted, but why expend time and energy on trying to work on those things and not using what God has already given to us? We should not make excuses about what we are not gifted to do but accept the challenge to use what we have. Rather than wishing for more, let’s learn to discover and use what we already have. What’s your calling? I think that more Christians are becoming aware that they have a calling even if they are not clergy. The observation that “our baptism is our ordination to ministry” has taken on new meaning for many people in the pew as they have rediscovered the concept of “vocation” as a personal calling from God. As individuals discover their calling or vocation, they are also becoming aware that not every person fulfills his or her calling within the faith community. In Growing an Engaged Church, Albert Winseman points out that “there are far more opportunities to discover one’s calling outside the walls of the congregation or parish.” I think what he is saying that our calling does not necessarily have to be in a traditional place of service within the congregation. Winseman suggests that there are three questions that spiritual leaders need to ask to help believers turn their dreams or inclinations into callings. What are your talents or strengths? If time and money were no object, what would you do for God? 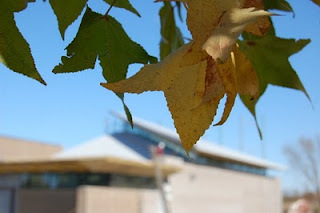 Good questions and ones that I would like to unpack a bit in my next three postings. Theological education continues to face challenges. Some are tied to finances, but there are other factors as well—demographic, sociological, cultural, and theological. As I work with the faculty and staff at Central Baptist Theological Seminary, I am impressed by their ability to turn challenges into opportunity. They continue to develop creative ways to form students for ministry. If a graduate theological institution hopes to be viable in the 21st century, its leaders must examine their paradigm, look at the context, and consider the next steps in the formation of ministers. What are some of those steps? Distance learning is one strategy that many institutions have already embraced. Most seminaries now offer portions of their curriculum online or in satellite centers. There are many ways of doing this, and the Association of Theological Schools (the accrediting agency for graduate theological education) is blessing this new approach. Certainly, theological education is becoming more contextual. 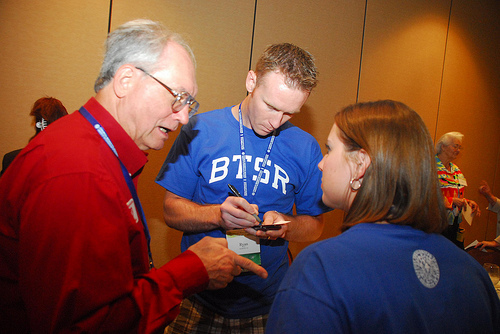 Field education or ministry praxis that joins classroom learning with “hands-on” ministry continues to be an important part of a student’s seminary studies, but contextual education may also mean setting up sites away from the seminary to offer courses or partnering with churches to educate staff and laity within the context of the congregation. This is taking theological education to the students rather than expecting students to come to the seminary. Students are increasingly involved in cross-cultural experiences on a long-term or short-term basis. Spending time outside their own culture challenges ministry students to reexamine some of their presuppositions and become more open to learning a servanthood approach to mission. Even in institutions with a strong denominational history, ministry preparation is much more ecumenical than in the past. This helps the school financially but it is also enriches the educational experience of all students. This recognizes the rich tradition of the Christian faith that is available to all believers. There is also more of an interest in cross-disciplinary studies in theological education. Although this can take place more easily when the theological institution is connected to a university, this cross-pollination can also take place in a free-standing seminary among the theological disciplines or with the involvement of guest lecturers. Some theological institutions see their future in interfaith education, developing programs that provide ministry formation for students from the major world religions—Judaism, Islam, and Buddhism, for example—as well as Christians. Here again, this provides a broader educational experience for all students, but it may well be the most controversial of the steps outlined here. Whatever happens in coming years, theological education is no longer static. It must evolve to respond to the mission of preparing Christian leaders for a changing context. 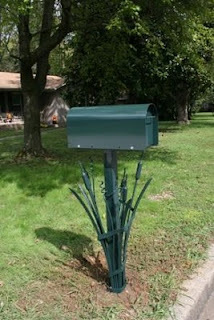 I am constantly amazed by the skill and creativity of my friend Joe Brown. Joe is a blacksmith. He can take the most unusual materials and bend them to his will using heat, muscle, and imagination. Our pastor referred to Joe this morning in his sermon on “Christlikeness.” He referred to the way that God can forge us into being Christ followers. The blacksmith’s hammer and anvil are powerful images of the way that God can work in our lives. Very often we only find out what we are made of only when we enter the heat of life with its challenges and temptations. Our lives are the raw materials out of which God forges us into Christlikeness. As rough and unyielding as we may be at times, the heat of life makes us more pliable. Even the most stubborn of us understands the need for change when we encounter the realities of life. As I have watched Joe work with metal, I have noticed something significant. On occasion, the metal does not respond in the way that the blacksmith desires. When that happens, the artisan can take a step back, reheat the metal, and try again. If we apply this to our lives, God can take even our mistakes, allow us to learn from them, and then try again. Forging a piece of metal into something useful is not an easy task. Taking our lives and molding them into something useful is not easy, either. We can be thankful that God is the master artisan who works with us in the process. I have to give myself an attitude check occasionally. I write a lot about the church and challenge some of our churches’ basic assumptions and operating procedures, but I don’t mean to be negative about the church. The church is God’s primary instrument for manifesting God’s presence in the world today. Each church has much to celebrate and many are doing exceptional things. 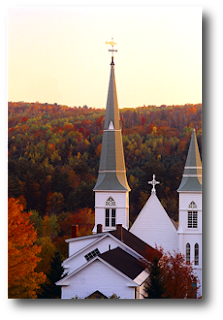 Godin’s blog reminded me that there are any number of churches that we should celebrate. They are aware of their gifts and resources and are interacting effectively within their contexts. They are “the body of Christ” in their community. But they are not all alike. Each is unique in its own way. Even within particular denominations or “faith tribes” there are different expressions of church. Sometimes a particular congregation may have to live with questioning from the hierarchy or alienation from other congregations when they follow “the road less traveled,” but they often find themselves vindicated in the long run and praised by their denominational family. In the 21st century, we will continue to see many manifestations of church—the neighborhood church, the house church, the megachurch, the regional church, the metachurch, the emergent church, etc. We will undoubtedly see the birth of models that we cannot even imagine right now. This may create discomfort for those of us who are tied to one particular expression of church, but I hope that many of us will be able to embrace, encourage, and celebrate this diversity. Such variety can only strengthen the faith. Is the Church in Denial? 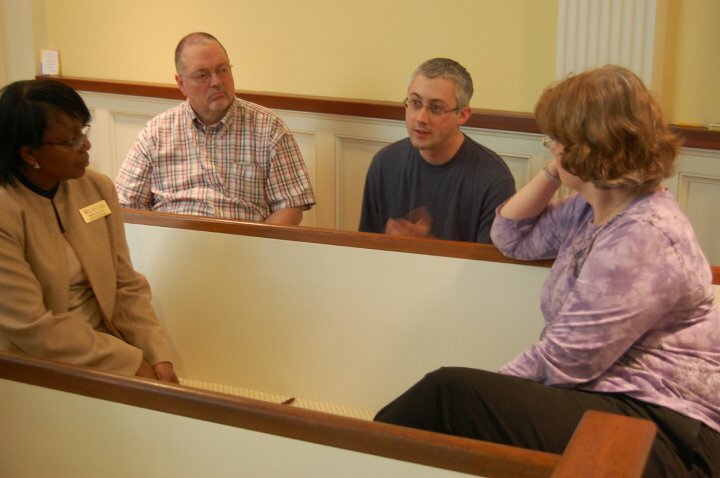 In a recent article, church consultant Tom Ehrich suggested several things that church leadership can do to overcome “business as usual.” One of his suggestions was that leadership (he used the Episcopal term “vestries”) “needs to listen to the marketplace, the broader context in which the congregation operates.” Such listening requires not only adopting a new strategy but a new paradigm as well. The paradigm under which we tend to operate is an adversarial one—us against the world. Too often the church is in denial about what is happening around it. We see changes around us, but they often cause us to be defensive rather than creative. We would rather retreat from the environment or culture in which we live than engage it. We experience this on a regular basis. I encounter it when someone bemoans the spreading influence of the Internet. Certainly, one can spend too much time with Facebook or gaming or blogging, but I can remember when many churches condemned TV and the movies. An individual can become obsessed with anything—even reading books—but that does not make the medium itself intrinsically evil. Morality is not in an object or a medium but within a person. How do we use the creation—positively or negatively? Use determines value. Rather than retreating from what we find around us, we can discover how to use it for our personal edification and for the service of others. We should reject it only if we find no valid use for it. In doing so, we follow the lead of Christian artists and writers of the past who used their preferred medium to proclaim the message. The persons we select as heroes tell a lot about ourselves. When our heroes triumph, we share their pride. When they fall, we feel betrayed. This is especially true in the realm of sports. 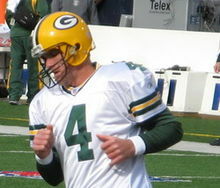 Brett Favre, one of my football heroes, has decided (again) to retire and the decision may really take this time. Not only has he worn out his body, but he is charged with some unsavory personal conduct in recent years (a charge which has not been proved at this point). I respect Favre for a number of reasons. First, he was an outstanding quarterback at my alma mater, the University of Southern Mississippi. Second, he overcame substance abuse to become a talented and dependable player. Third, he has shown an outstanding work ethic by starting in 297 consecutive games, an NFL record. Fourth, through his Brett Favre Fourward Foundation, he has donated more than $2 million to charities in his home state of Mississippi as well as to those in his adopted state of Wisconsin. Unfortunately, Favre probably overstayed his welcome as an NFL quarterback. He left the stadium for what will undoubtedly be his last time in sweats and T-shirt rather than playing gear because he was sidelined for the game. Fortunately, we will forget that in time and remember his glory days with the Green Bay Packers and the memorable 2009 season with the Minnesota Vikings. On the other hand, we have Vince Young, the young quarterback who recently cast aside by the Tennessee Titans. In his parting remarks, Young’s biggest complaint was that the coach didn’t like him. He said, "People say [my actions] are immature, but that's just me. . . .I feel like he was continuing to treat me like I was a young man when I'd really grown up a whole lot. I just didn't feel like I had the trust and the love that any other quarterback around the league had." It seems that Young protests too much. When he was jeered by the fans in 2008, he disappeared for several days. After being injured this year and losing to the Redskins, Young threw his gear into the stands, cursed out the coach in front of the rest of the team, and stormed out of the locker room. So much for signs of maturity. Perhaps these men represent the ends of a spectrum. One didn’t know when to quit, the other quit too quickly. Each of us struggles with this balance. There are times when we need to buckle down and make the best of the situation, but there comes a time when we must realize that we have given our all and move on to let someone else move into leadership. Each decision requires a certain kind of maturity that is not easy to attain. Vision-casting isn’t what it used to be. By “vision-casting,” I mean identifying a preferred future for your church or organization and then identifying the strategies, developing the action steps, and assembling the resources to move toward that vision. With the changes in the culture, the economy, and much of the other structures in our world, one is often foolish to think that any plan is going to work out as intended. In Church Unique , Will Mancini has attempted to articulate a visioning process that is relevant to churches and organizations in the 21st century and our time of discontinuous change. Mancini’s contention is that each church has a unique culture that reflects its particular values, thoughts, attitudes and actions within a particular context. We are called to identify what our church is uniquely called to do and pursue it. By identifying and unleashing the individual church’s DNA, church leaders can unlock the potential of their congregation. To develop a church’s “vision frame,” the leadership must answer the following questions. First, what are we doing? What has God called us to do in this context? What is God’s mandate? Second, why are we doing it? What are the values that guide our actions and reveal our strengths? Third, how are we doing it? What are the strategies we have adopted? Fourth, when are we successful? What are the milestones or marks that reflect our progress? Fifth, where is God taking us? What is God’s “better intermediate future” for us? I am not sure that there is much new here, but the latter part of the book dealing with how one advances vision is certainly the most helpful part of the book. Mancini recognizes that the hard part of vision-casting is implementation. He deals with the need to gain traction for the vision, seek to get people attuned to it, and then deliver on vision daily. For example, one delivers on vision by developing leadership, communicating intentionally, implementing duplicatable processes, constructing compelling environments, and consciously shaping culture. This chapter is especially significant and provides some and awareness of the difficulty of implementing change in the congregation. My primary frustration with the book is that the author took up so much space setting up his case for a new approach to vision-casting and so little to the implementation of the vision. I would welcome a second book from Mancini on that part of the process. On January 1, 2009, I began my “official” retirement. As I look back over the two years, I sometimes wonder how “retired” I am. Cecil Sherman once said, “Don’t retire FROM something; retire TO something.” Perhaps I have taken that too literally! Actually, I am very grateful for the opportunities that have come my way. Molly Marshall and Robert Johnson at Central Baptist Theological Seminary asked me to continue my role as director of the Central Seminary center in Murfreesboro, Tennessee. I have enjoyed working with adjunct faculty and students there as well as the opportunity to teach several courses, including one online. Time with Shawnee staff and faculty has been limited but stimulating. Our work in Murfreesboro has been affirmed by the Association of Theological Schools, and we continue to seek to fulfill certification requirements by the State of Tennessee. Terry Hamrick at the Cooperative Baptist Fellowship, Terry Maples at Tennessee CBF, and Michael Smith and Phil Potratz at First Baptist Church, Murfreesboro, have come alongside as supportive partners. We have graduated four students with the Master of Divinity degree and two more will finish this year. I have enjoyed my work with Pinnacle Leadership Associates, primarily in the area of clergy coaching. Mark Tidsworth and my colleagues at Pinnacle are great encouragers, and I continue to learn from them as well as the 12 people I have coached in the past two years. I have also been involved in formal training as a life coach with Chris McCluskey, Judy Santos (who passed away in 2010), and Gary Wood. If one chooses to pursue a coaching ministry, I heartily recommend this type of training. Even if you have inherent gifts for coaching, instruction along with dialogue and evaluation can only strengthen those skills. One of the things that I has given me satisfaction is my blog. Part personal journal, part commentary on things of interest to me, and part resource for those who read it, Barnabas File has been a good discipline and a rewarding outlet for me. I am often surprised to learn who is reading it and always welcome the feedback offered. I appreciate EthicsDaily.com picking up some of my "stuff" from time to time. I have also benefited from my involvement as a board member with the Pastoral Counseling Centers of Tennessee. Like most non-profits, PCCT has struggled this year, especially with the Nashville floods and the downturn in the economy. Chrissa Walsh and Chris O’Rear, as well as board chair John Brandon, have provided good leadership during tough times. This is an important ministry that fills a neglected niche. Most of all, I love the time with family, especially Rita and our grandchildren (and great grandchildren). Watching children learn and grow is always exciting. Time spent with them is often exhausting, but it is never wasted! Rita and I have been able to travel some and spend special times with family and friends. So, my friend, don’t worry about whether I have enough to do in retirement. I do and I enjoy it!